Photos of a dog that sat like a human being while riding a jeep recently went viral after these were posted on Facebook community Doggie Fun Fair. According to the post, these photos were actually taken exactly a year ago and were published on the Philippine Star but these became viral again – and for good reason. After all, it is not every day that you get to see a dog riding a jeep – and definitely not a dog sitting like a human being. LOL. The photos were taken by Derick Anne Mariano who revealed that the dog had ridden the jeep along with its owner going to Lardizabal Street in Manila. This is definitely not a common sight as most people leave their dogs at home or don’t ride public transport if they plan on bringing their pets at all. 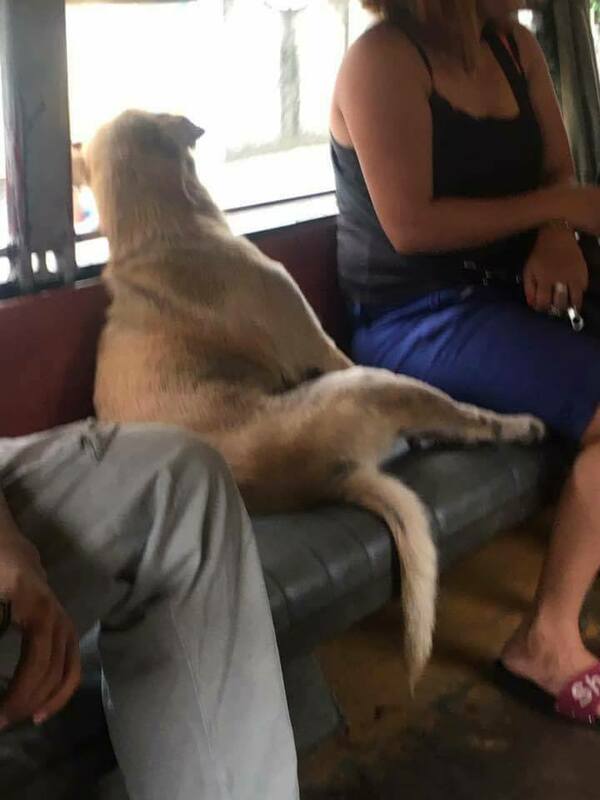 But it seems that this dog and its owner are adept at riding jeeps as the canine chose a seat and positioned itself like a human being on that jeepney seat. The other passengers didn’t seem to mind that there’s a dog in their midst; probably because it was so well behaved, anyway. Mariano revealed that the owner did pay for the dog’s fare so the driver didn’t also mind having the dog as passenger that day. Isn’t that sweet? 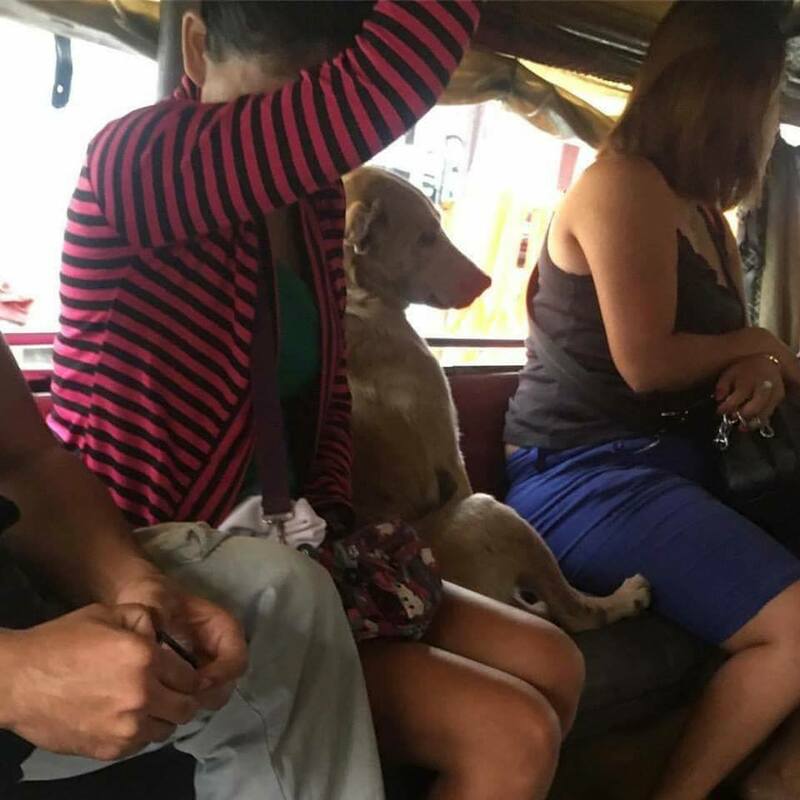 Some netizens commented that while this was highly unusual, they are glad that the other passengers did not complain about the matter because the dog had the right to ride that jeep. Plus, it did sit like a human being! Do you think it’s alright for owners to bring dogs along in public places like this jeep?